There are a bunch of “Avengers: Infinity War” products out there for you to order and put on your superhero shelf. 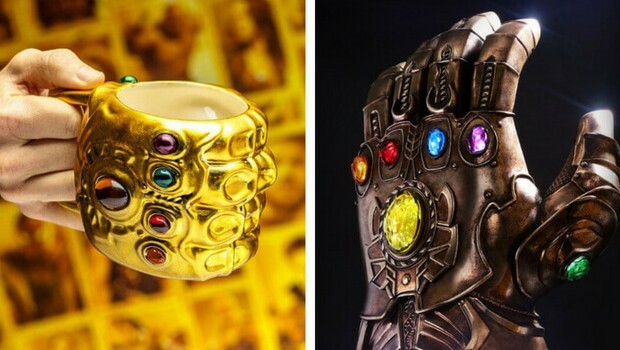 Maybe you’ve seen them already, but we can’t help but tell you about Thanos Infinity Gauntlet mug. It is a cool piece of Avengers merchandise that you’ve got to have yourself. I mean, just imagine drinking your morning coffee from the Infinity Gauntlet itself! Wouldn’t that be awesome? Hot Toys and Hasbro offers you this chance. With a measly investment, you can drink your favourite beverage from the Infinity Gauntlet mug that Thanos himself use. Order it right here. 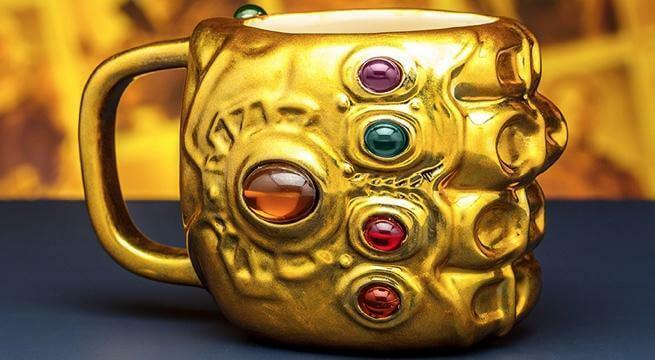 When you pair this Infinity Gauntlet mug with coffee, it will give you power beyond imagined. You can’t miss this! Also, if you want to go straight to the best, you can purchase Hasbro’s Infinity Gauntlet Articulated Electronic Fist. That’s around $99.99. 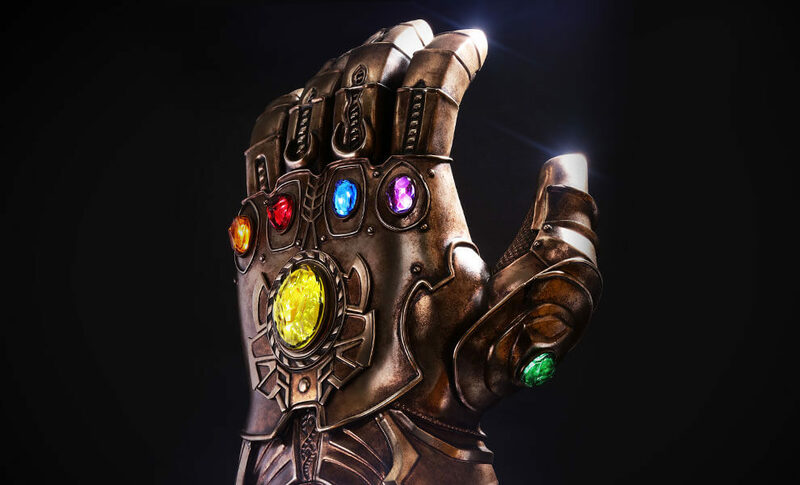 If you want something more, you can order Hot Toy’s own version of Infinity Gauntlet. You’ve got to pay $930 for this. Why? Because it is approximately 28-inch tall, it’s got LED lights with two lighting modes for when you want to use one or all of the stones and incredibly realistic design. 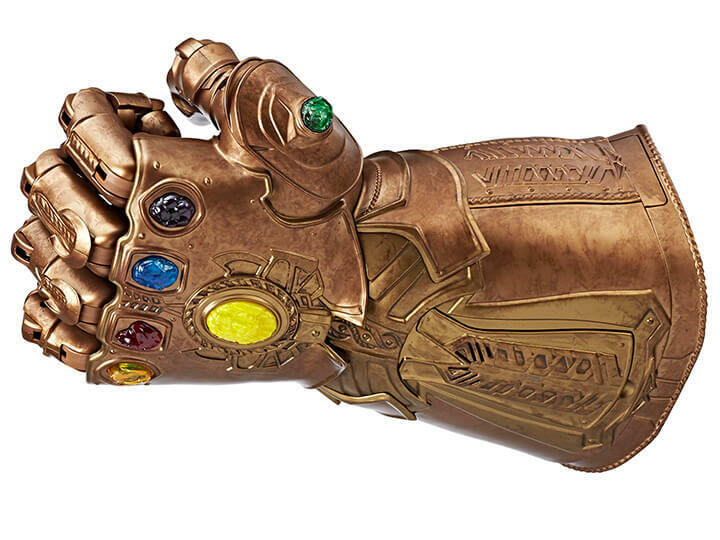 But, the Infinity Gauntlet glove doesn’t have the same utility as the Infinity Gauntlet mug. You can’t take it to your office and make everyone jealous because you can drink coffee combined with the power of all the Infinity Stones, right? You can keep it on your dinner table and drink wine from it. Yes, you can even drink wine from this mug. It will give your beverage a special power. We say you try it and then let us know! 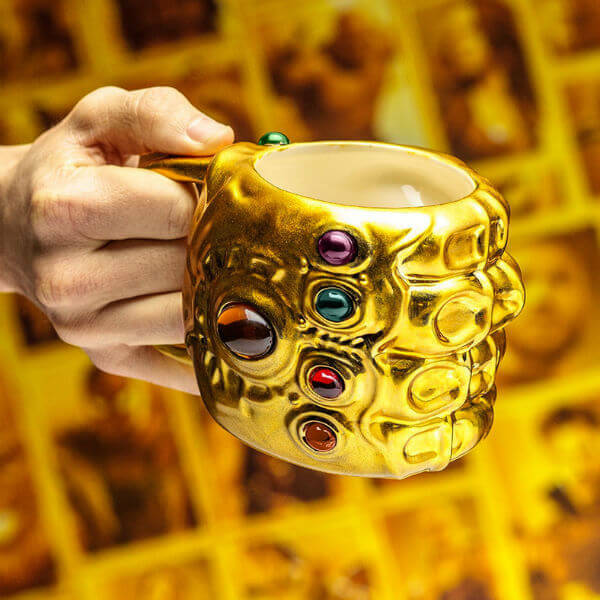 Also, if you feel strong enough yourself and you don’t need the power of the Infinity Stones to guide you, you can gift this mug to that special one who you know is crazy about Infinity War. It will make a special effect!